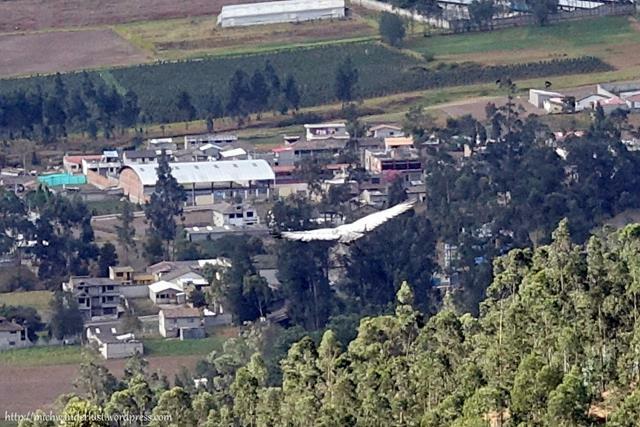 For my final 2 days with Mundo Andino Spanish School, we visited the community of San Rafael and the Parque Condor. 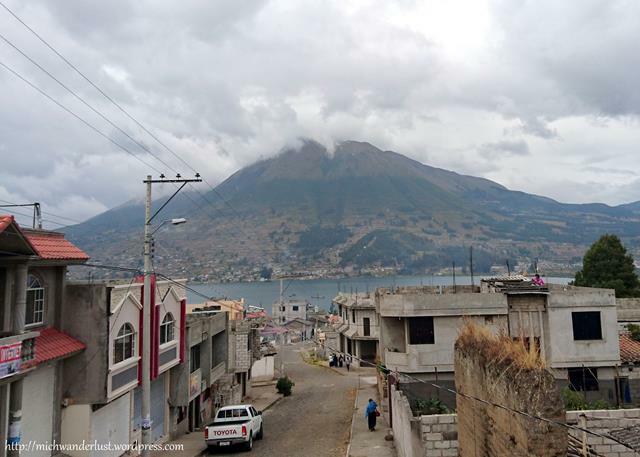 San Rafael is a community about a 10-minute bus ride (which costs $0.30) away from Otavalo. It’s famous for its totora crafts. Incidentally, it’s also the community where the albino boy was born and they have an annual festival in his honour. Totora is a type of reed that grows in the nearby lake (Laguna de San Pablo) and the villagers harvest it and make mattresses, baskets and other products from it. It’s a fairly small and sleepy community. When we visited, the totora shop we were intending to visit was closed, apparently due to the school vacations. 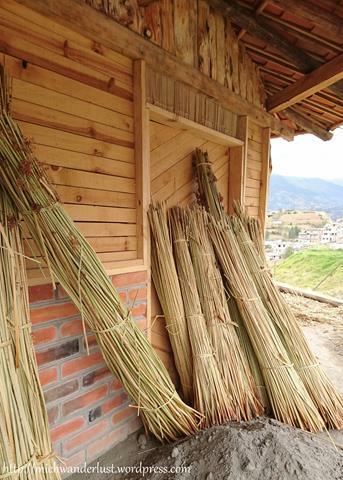 We found the house above (right next to the Pan-American highway) with a lot of totora outside. The guy who owns the house came out and very kindly showed us what he was working on (a basket) and showed us a few finished baskets as examples. He also showed us some miniature llamas made from totora. It would make a great souvenir, I think! He’s just recently moved into the house, though, so hasn’t had time to set up any kind of display. If you visit in the near future, perhaps you’ll be able to see what else he has to offer! We walked towards the lake and passed a lot of farm animals (mainly chickens, pigs and dogs), as well as a guy trying to buy pigs from the villagers. He had a truck full of them! At the edge of the lake, there’s a nice little wooden jetty from which you can sit and enjoy the view. Boat rides are available ($2 per adult) but you need to call. There’s some kind of swimming competition held annually in this lake. I don’t think it would be very pleasant though – the water is pretty cold! Those swimmers are obviously a lot tougher than I am. 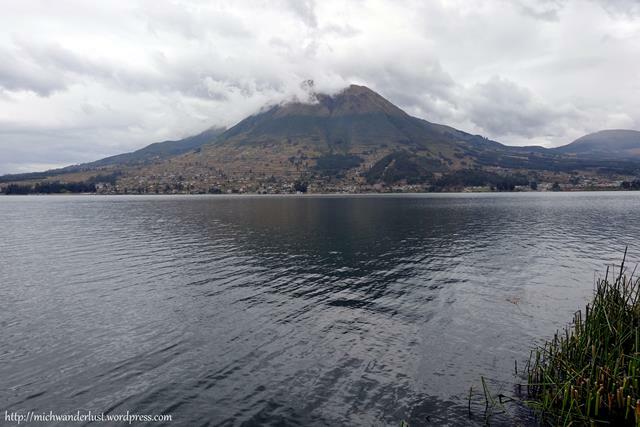 The communities surrounding the lake draw their water from it – it was a 2-year project, but they finally got it done! As the name suggests, this is a foundation set up primarily to rehabilitate rescued birds of prey. 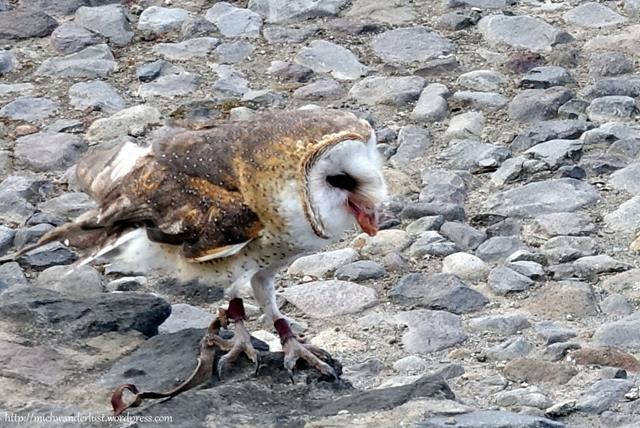 You can see various types of owls, eagles, hawks and falcons. They try to release as many as possible back into the wild, but unfortunately there are some which can’t be released due to their physical condition, mental conditioning, etc. They can be found in the rainforests from the south of Mexico to the north of Argentina, but are rare in Ecuador due to deforestation. 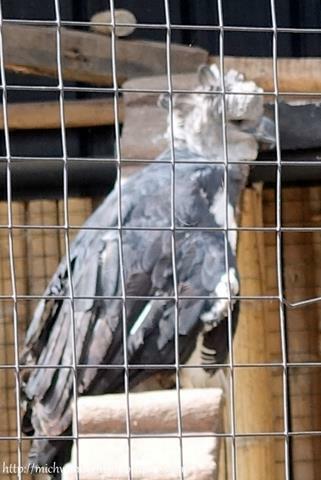 This particular harpy eagle has an injured wing and can’t fly, so she can’t be released back into the wild. 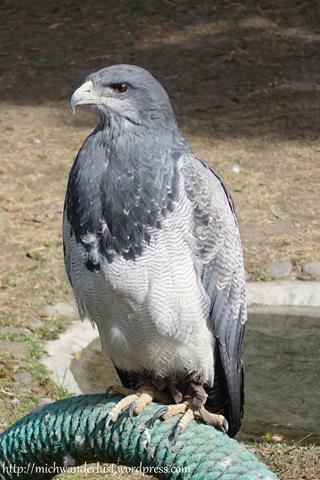 She has mothered plenty of harpy eagles though, and those have been released! 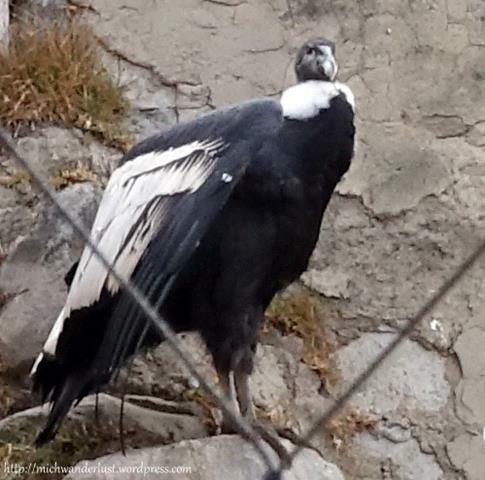 You can also see the critically endangered Andean condor, which is a national symbol of Ecuador and Andean culture. 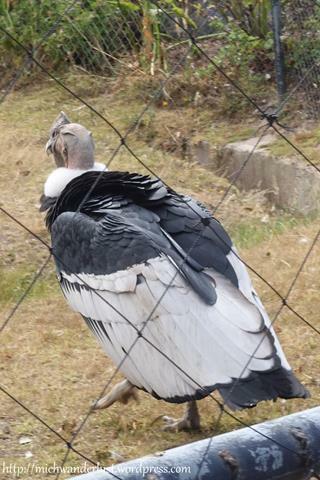 It’s the biggest vulture in the world and they can live up to 80 years’ old! They are in danger of disappearing entirely from Ecuador, because (among other reasons) farmers consider them a threat to livestock. In truth, however, they are fundamental to maintaining a healthy ecosystem in the open grasslands and alpine areas they inhabit. The male (above) can be distinguished by its crest. The female is below. Don’t miss the free flight demonstrations! They’re at 11.30am and 3.30pm. The ranger spoke almost entirely in Spanish, so it may be hard to follow if you don’t understand Spanish (and don’t have a friend who can translate). Similarly, the signs describing each bird are almost entirely in Spanish as well. 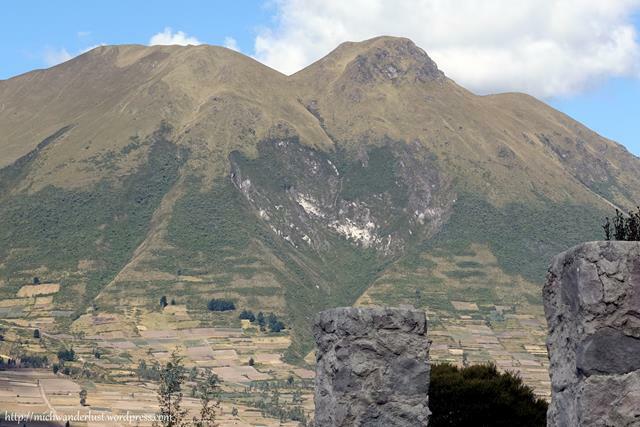 Can you see the “heart” of the Imbabura volcano below? I’ve been to a couple of flight demonstrations all over the world, and it never fails to amaze me how silently these owls can fly. Bonus random fact: they eat a ton of rats. 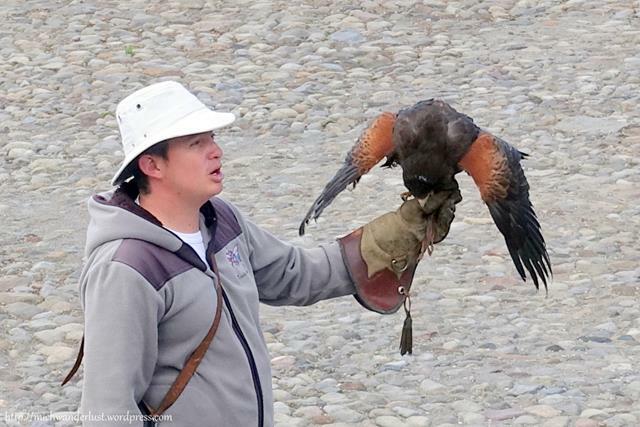 This hawk is very popular in falconry. We saw it catch food in mid-air! See how it’s spreading its wings to protect its food when it eats? This can be found all the way from Venezuela until the Tierra de Fuego (Patagonia), especially in the Andes. We watched this bird soar really far away, drifting on the wind with hardly a flap of its wings. It flew so far away that we weren’t sure if it would come back, but it eventually did. The ranger explained that they always come back because they have a guaranteed supply of food here. Once this bird flew away for 5 days, and when she came back she was over 200g lighter – meaning that she hadn’t eaten at all in that time! 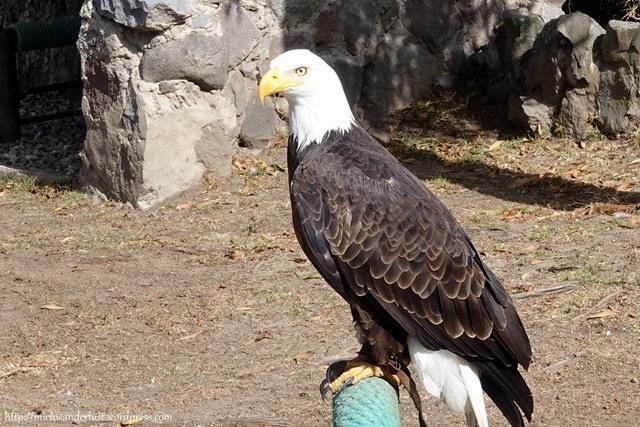 As you probably know, the bald eagle is the national bird of the USA. 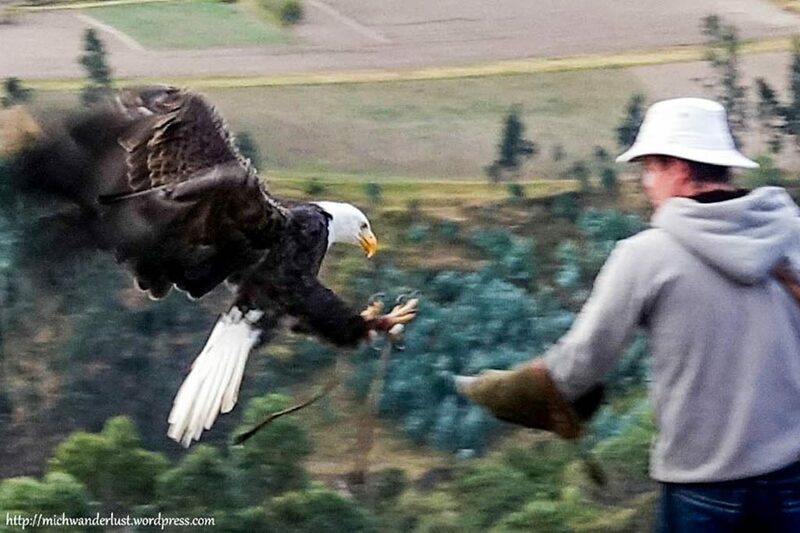 Therefore, this bald eagle’s name is Gringo. No kidding! He looked very majestic and impressive, but he didn’t feel like flying. When the ranger tried to get him to fly off, he simply dropped (like a stone) briefly out of sight before climbing back over the ledge. Just like me when I have to wake up early. It was a bit disappointing that we didn’t get to see him fly much. It was nevertheless very entertaining watching the repeated failed attempts to get him to fly! 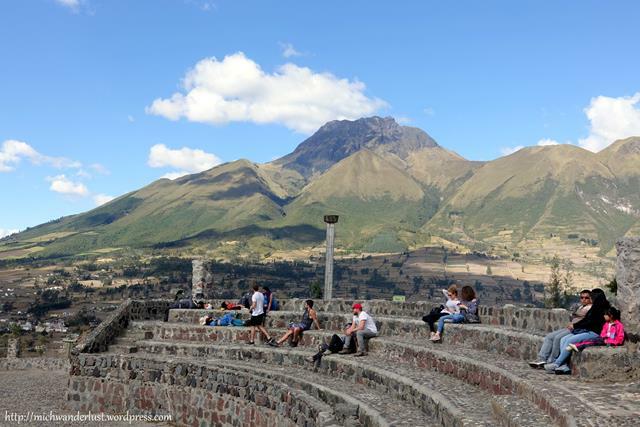 How to get to Parque Condor: You can walk from Otavalo, but it’s a steep uphill climb and will probably take you at least an hour. I took a taxi, which cost $4 one-way. I shared the taxi back with a couple of German girls, so it was cheaper! Admission: $4.80 or so (for foreigners) – I can’t remember exactly, unfortunately! 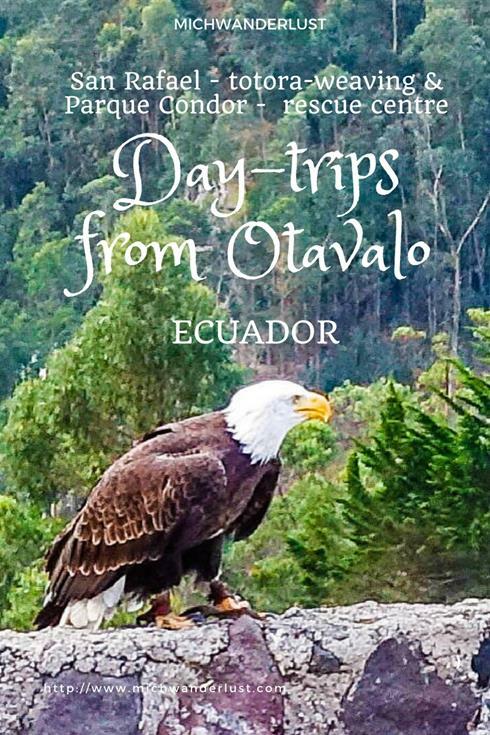 Looking for other things to do in Otavalo? Check out my list of 15 things to do here!